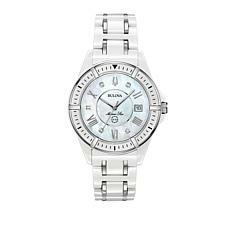 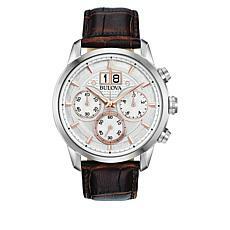 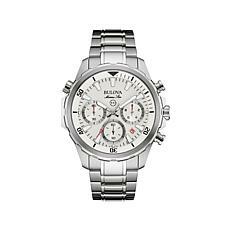 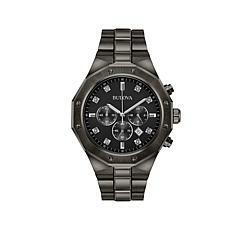 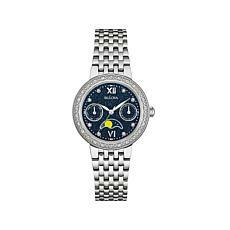 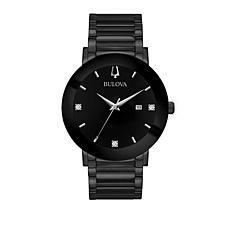 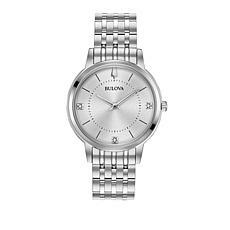 Bulova "Marine Star" Diamond-Accented Stainless Steel White Ceramic Bracelet Watch Sprinkle on the perfect amount of bling with a timepiece that features sturdy stainless steel and ceramic construction and a diamond-detailed design. Plus, that white color palette is right on trend for everyday wear. 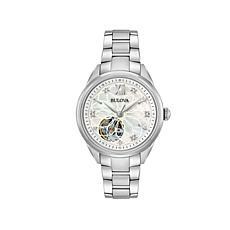 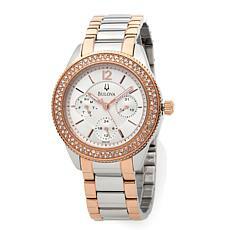 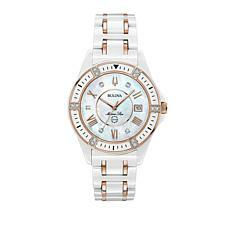 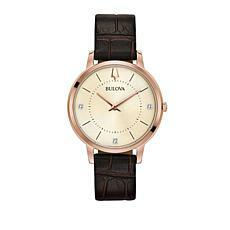 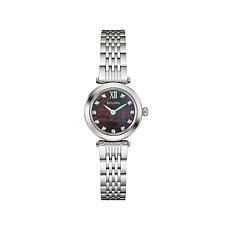 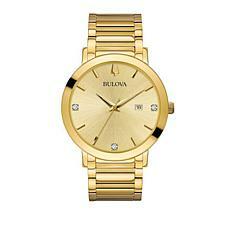 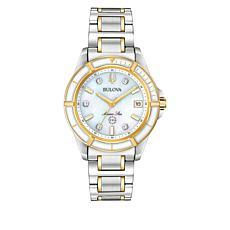 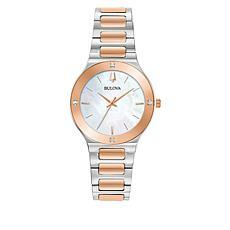 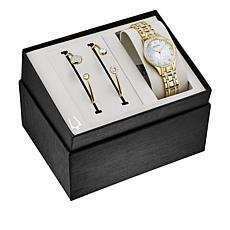 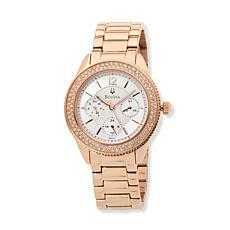 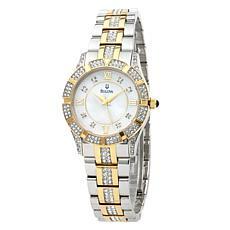 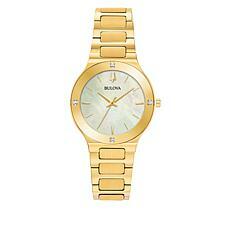 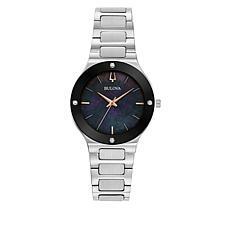 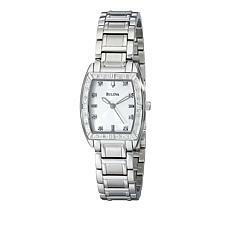 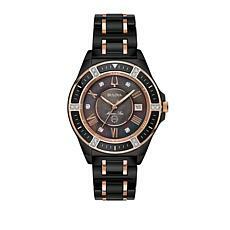 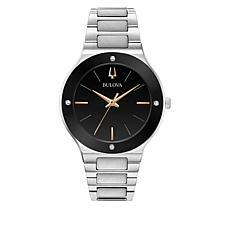 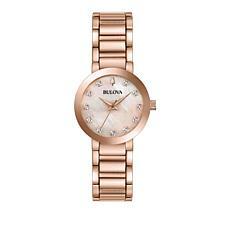 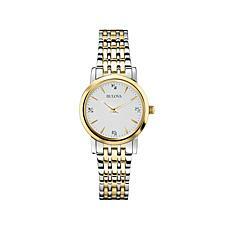 Bulova 2-Tone Women's Mother-of-Pearl Diamond-Accent Bracelet Watch A classic white, mother-of-pearl dial, sparkling diamond and polished rose-tone accents in a stainless steel package, make this Bulova watch stand out from the rest. 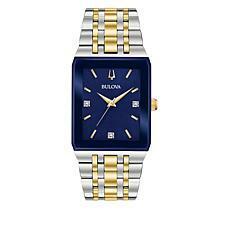 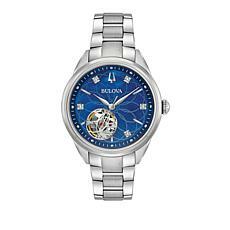 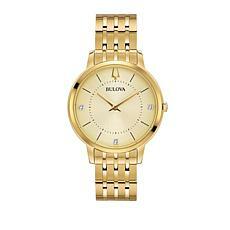 A rich, blue mother-of-pearl dial, sparkling diamond and polished gold-tone accents in a stainless steel package, make this Bulova watch stand out from the rest. 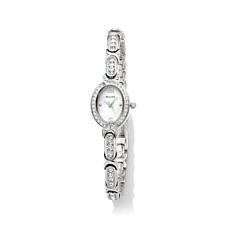 Sprinkle on a subtle splash of sparkle with a menswear-inspired timepiece that features delightful diamond accents in a sturdy, stainless steel design. 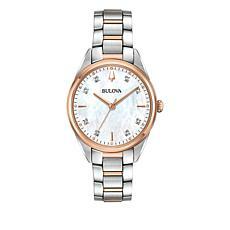 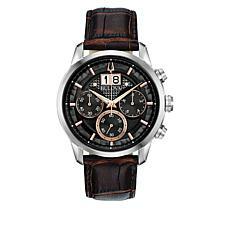 Sprinkle on a subtle splash of sparkle with a menswear-inspired timepiece that features delightful diamond and rose-tone accents, in a sturdy, stainless steel design. 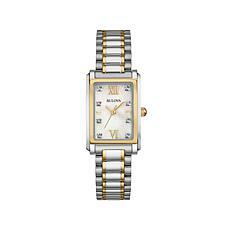 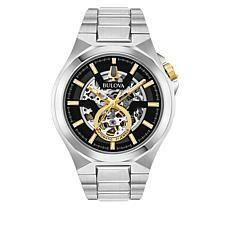 Sprinkle on a subtle splash of sparkle with a menswear-inspired timepiece that features delightful diamond and gold-tone accents, in a sturdy, stainless steel design.